The combined team representing both RS Sailing and the RS Aero Class association had an excellent trip to Valencia for the Olympic Single-Hander Sea trials to investigate the alternatives for both the Men's and Women's events following the Board of World Sailing’s recommendation last year that new Olympic equipment is selected. 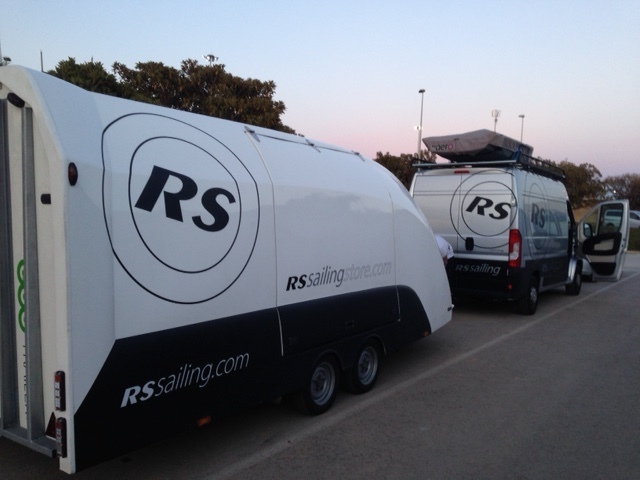 After a swift 18 hour sprint southwards across France and Spain with the RS Sailing events shuttle, fully loaded with five RS Aeros and a whole load of kit, arrived at Real Nautical Club Valencia. The weather for the week was splendid, a welcome break from the wind and rain at home! The sun shone throughout and the wind steadily increased over the 4 sailing days, producing the variety necessary. World Sailing created an extremely professional trial environment to enable a fair and constructive process. There were strict restrictions imposed on the representatives on media during the event, sailor contact, to provide current class equipment and there were exacting presentation opportunities. The representatives presented each day on the topics of a general overview, universality (world spread, infrastructure), production, quality control, pricing and cost. 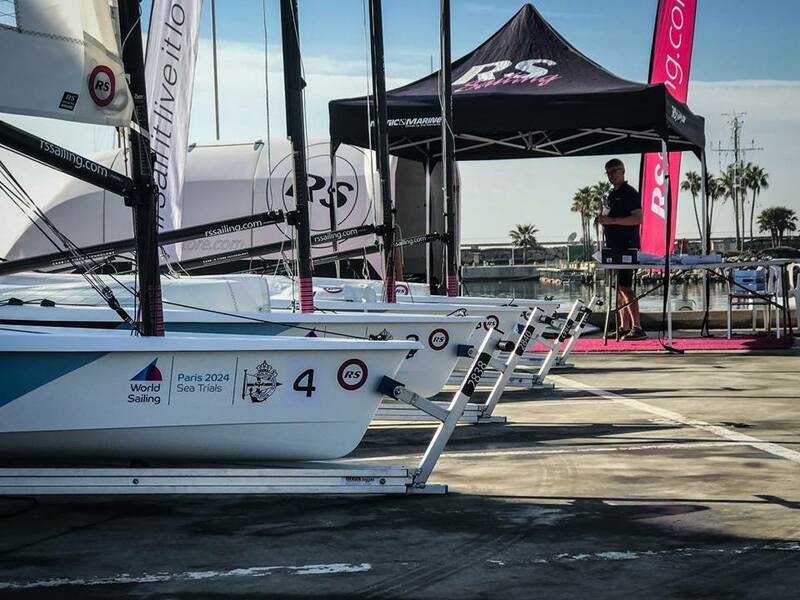 In the dinghy park we introduced the assembled sailors to the RS Aero’s design features, rigging and sailing techniques. Through the week we benefited from their feedback, adding value to the whole process. On the water Days 1 and 2 consisted of familiarisation, experimentation and coached Class racing, allowing the sailors to compare and get used to the various designs. The trial sailors had a thorough debrief at the end of each day, providing their feedback to the World Sailing evaluation panel. Days 3 and 4 were spent racing, initially with a mismatch of one Class’ women’s rigs against another men's rigs. Later on all Classes other than the Lasers took to the start line with some swapping men and women in each other's rigs. During the final day’s five races the RS Aero held its own with both the RS Aero 7 and the RS Aero 9 winning a race each. It was a joy to watch competent racers tackling the RS Aero for the first time and to witness the technique of Laser World Champion Pavlos Kontides who clearly enjoyed his time in the RS Aero, laughing to the rib; “Do I look like an RS Sailor now?” at the end of a fun downwind! World Sailing’s equipment committee conducted a thorough inspection of all the Classes checking for consistency, quality and the vital stats. The RS Aeros faired well with all measurements consistant over the RS Aeros, including the critical issues like hull weights, spar weights, mast rakes and foil widths. They were all near identical and well within World Sailing's exacting tolerances. All the RS Aeros at the sea trials at Valencia were Class standard RS Aero 7s and RS Aero 9s, as requested by World Sailing. Whilst at Valencia the whole fleet of four were pre sold to France where they can enjoy their sparkly French Olympic graphics! So with a short detour to the Brittany coast on our way home the French RS Aero fleet has grown another four RS Aeros larger! These are exciting times for both RS Sailing and the RS Aero Class Association. The rapid expansion of the Class produced a 206 boat RS Aero World Championship in 2018 and a worthy bid for Olympic Class status before our 5th birthday. We now have win-win outcome to look forward to. The International Class is already established with a developed plan of future World Championships and International Regattas to enjoy, should the Olympic Class remain unchanged. 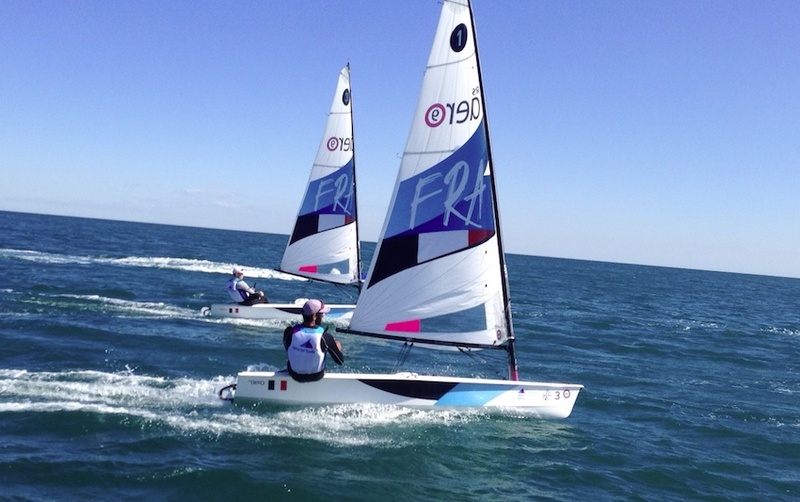 In the event that the RS Aero be successful RS Sailing and the RS Aero Class Association would partner with World Sailing to foster a smooth evolution to Olympic Class status. We await the decision with anticipation! Whether the RS Aero wins selection, or not, we are doing just fine and have an exciting future to look forward to!